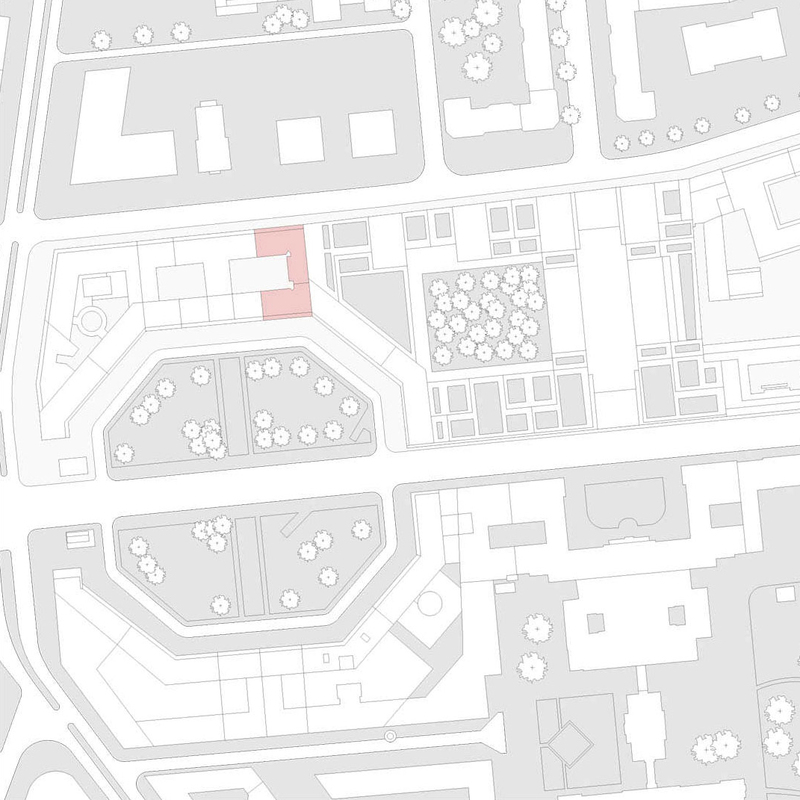 Attempting a restoration of the historic octagonal form of the Leipziger Platz (one of the three royal places created in 1720), the urban design envisions subordination of each building to the clear geometry of the square. 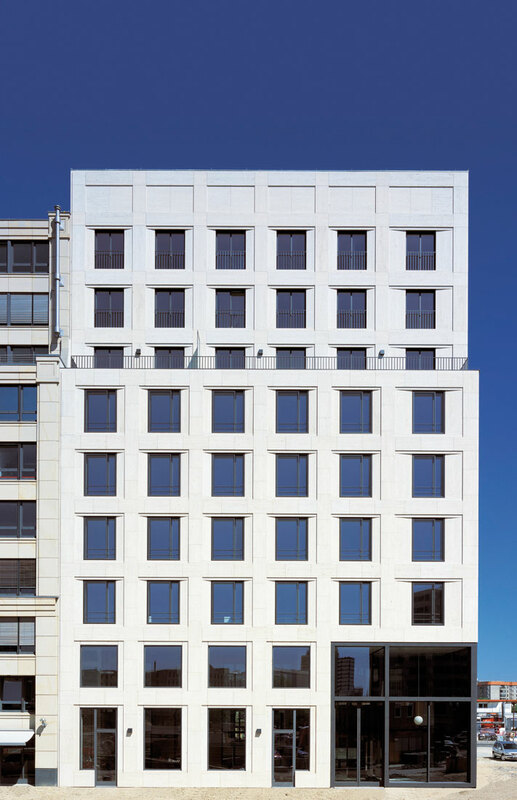 During the process of designing the office and residential building, this urban design was understood as a chance to create a public space where the great variety of the façades is perceived by the attentive observer. 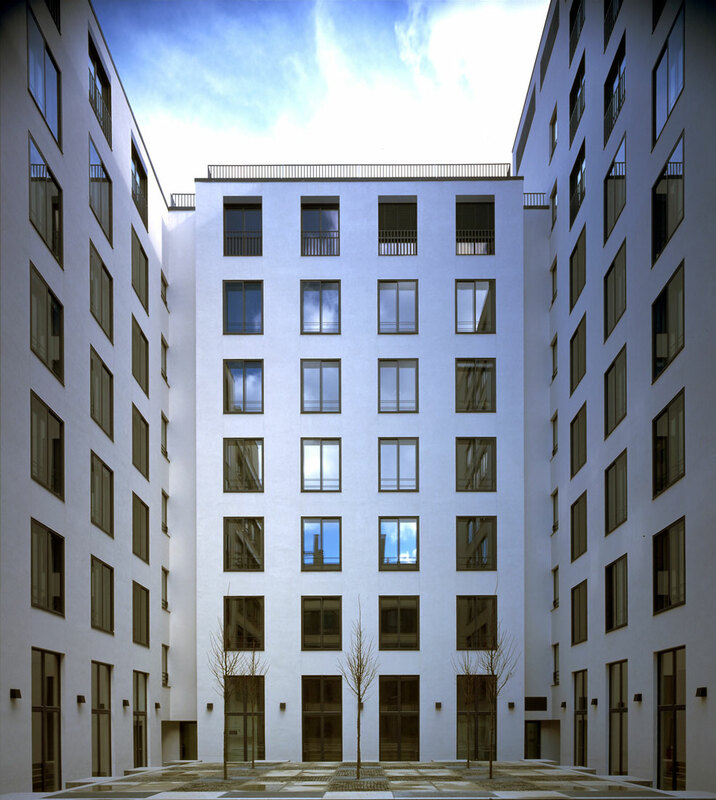 The new building at the Leipziger Platz is organized in six standard and three setback floors. Seen from the Voßstraße the building is structured in six standard and one setback floor and from the side the building has seven standard floors. 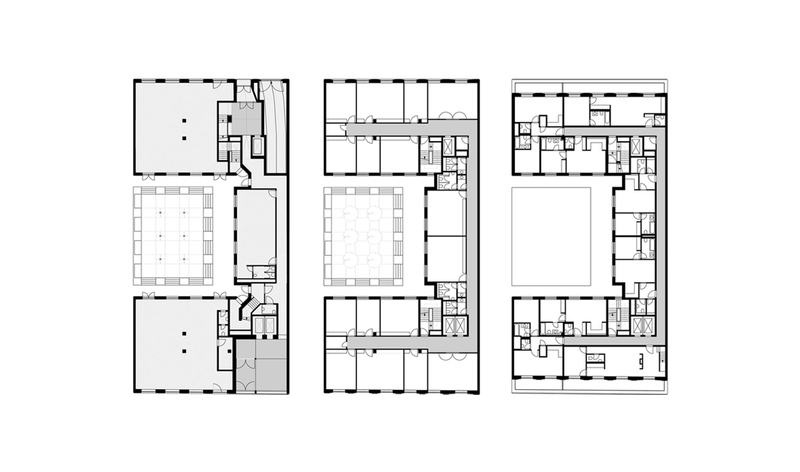 The façade distinguishes itself through a disciplined proportion of openings within wall surfaces, corresponding to the various functions in a straightforward manner. 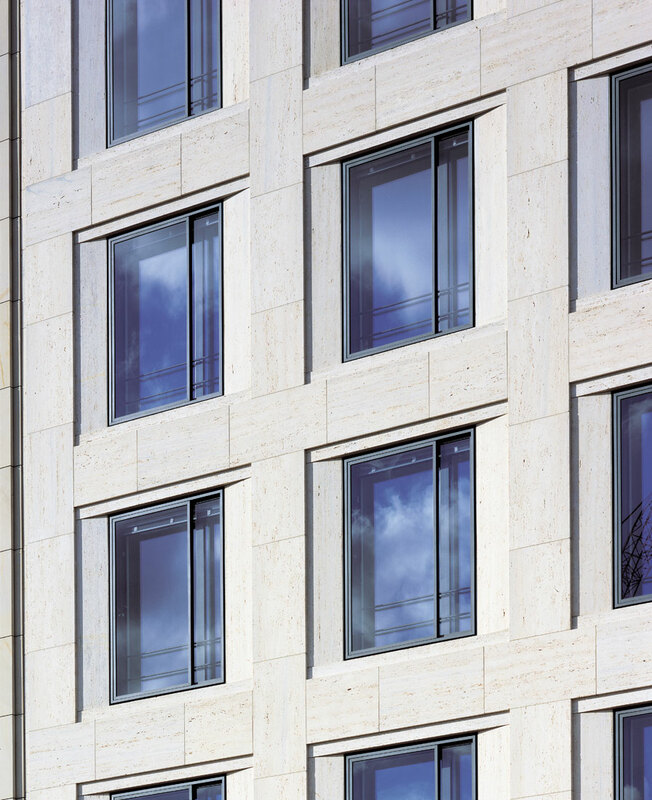 The relief of the façade and the size of each element achieve an urban character, which is intensified by the solidness of the materials and details. 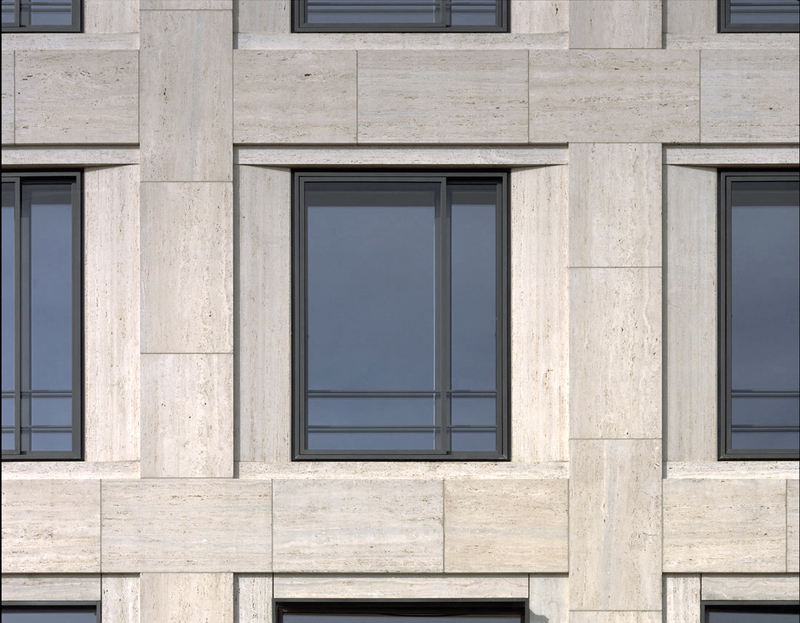 The façade responds to the basic geometry, the symmetry created by the diagonal axis, and to a resulting weave pattern. The weave is made visible through the distinctive articulation of the joints. 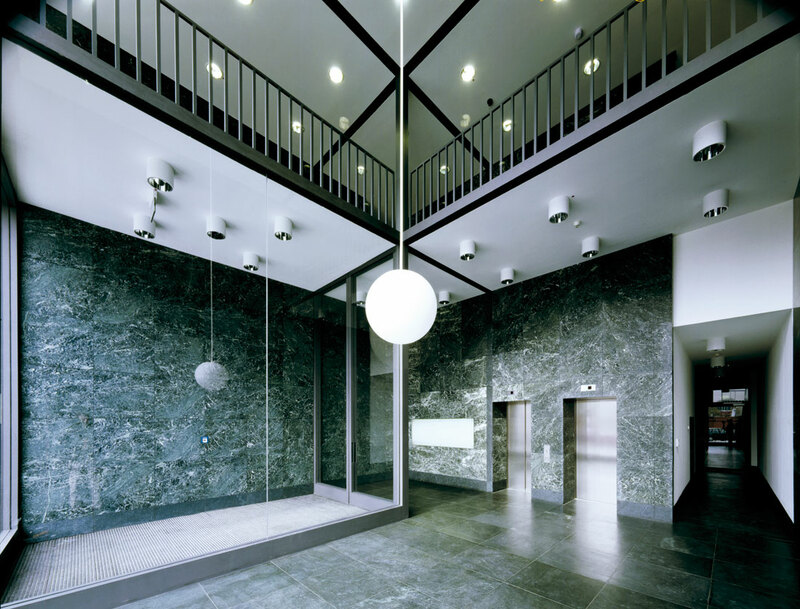 The entrance hall facing Leipziger Platz results from the already described geometry and has in consequence identical dimensions in plan and elevation, thus creating a cube. 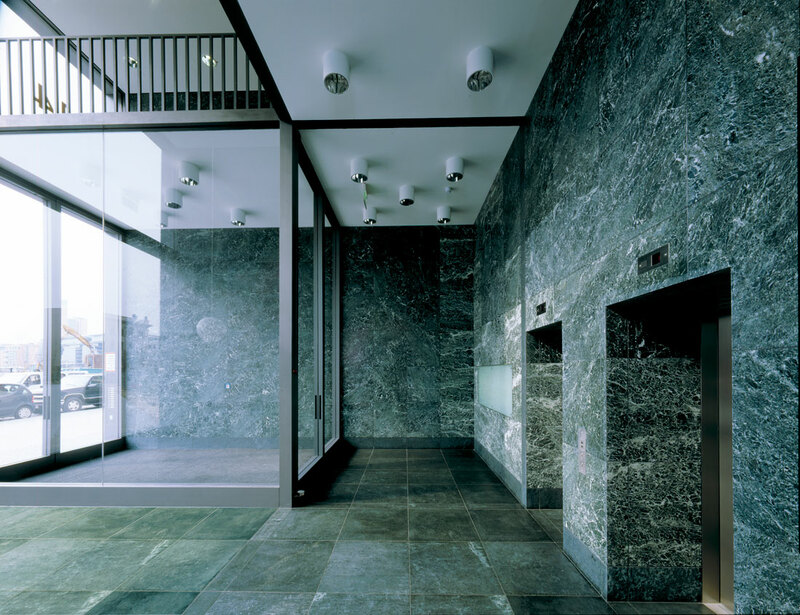 The distinction between basement, standard floors and setback floors corresponds to the distribution of the functions: retail, office and residential. 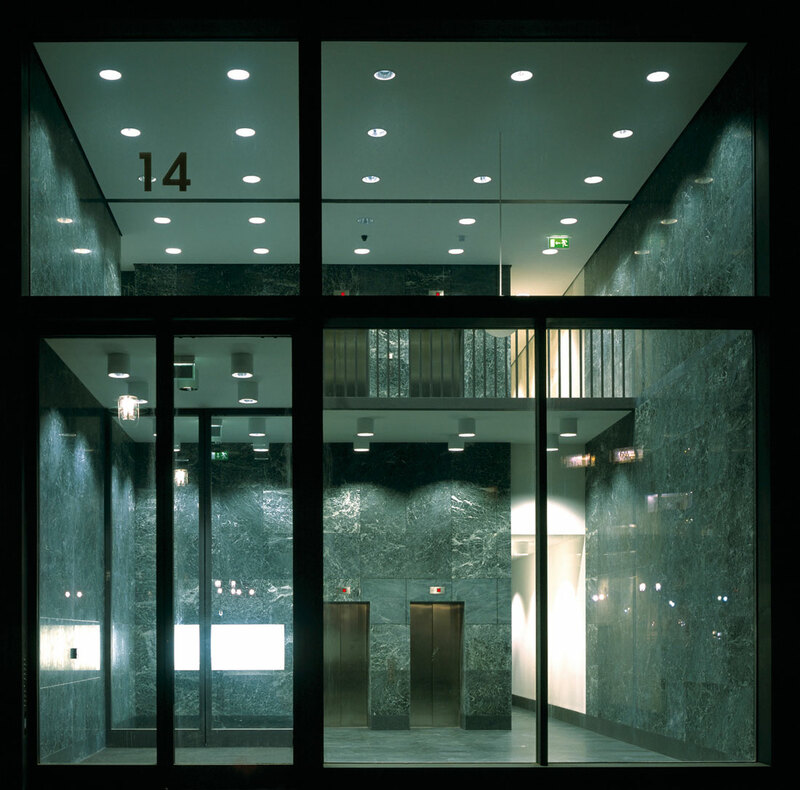 To achieve a constant interior environment, the ceilings, which serve as a storage medium, are exposed in order to allow a cooling effect in the building by using cool air during the night. To support this effect, the façade is designed with triple glazed box windows with a permanently ventilated space between the facade skins. The sunblinds are also located in this space, protected from the weather, in order to avoid disturbing the calm appearance of the façade.